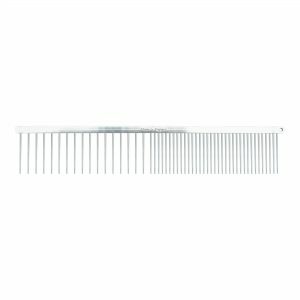 The All Metal Straight comb has a combination of medium and fine teeth. The All Metal Straight comb has a combination of coarse and medium teeth. The Ancol Moulting comb has alternate short and long teeth, which help to remove loose hair from the coat. 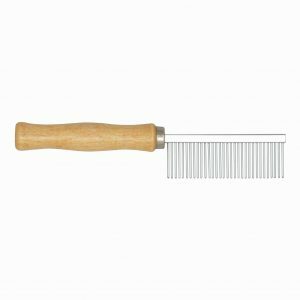 The Medium Coarse comb has a wooden handle. 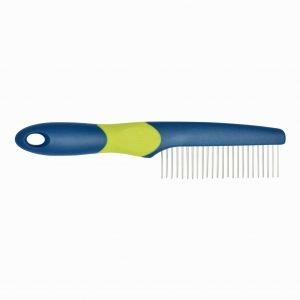 This Moulting comb has an easy grip handle, and alternate short and long teeth to thouroughly remove loose hair from the coat. 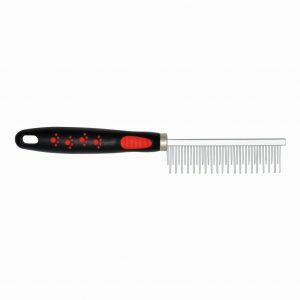 The Premo Coarse comb has a cushion grip handle, and rotating teeth to help remove loose and dead hair from the coat.